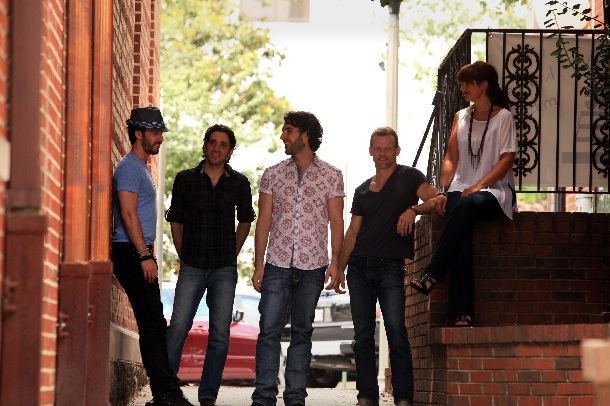 Connor Christian & Southern Gothic are a band on the rise as they were named an “Artist on the Verge – Best Bets of 2012” by Billboard Magazine. The band recently opened for ZZ Top at Summerfest, the world’s largest music festival, and we got the scoop on the band from frontman, Connor Christian. You recently opened for ZZ Top in front of a huge crowd at Summerfest. What was that like? It was definitely exciting. ZZ’s fans were so receptive to us and really made it feel like we were playing hometown crowds every night. We met hundreds, maybe thousands of fans after those shows and got to say hello, and really meet the people that got excited about our show and our songs and wanted to know more. As a band currently on tour what are your favorite and least favorite things about touring? Favorite thing about touring is really being able to see America in a way that few people can really say they have. Even if you’ve been to a city before and you play a new venue or festival, you get to see a whole new side of that particular city or area of the country. Every show is unique and we make sure never to play the same show twice, and playing new places and seeing new (and hopefully more) faces helps keep it fresh for us and the fans. Of course there are so many little negatives about touring- long hours traveling, cramped hotel rooms, broken down vans. Also, it can be hard to eat right and excercise sometimes… But we try not to focus on those things. Being able to play rock n roll for a living with our friends is really amazing, so we’ll take the tough parts any day of the week if it means we get to keep playing our songs for people. Billboard Magazine named you an “Artist on the Verge” as one of their “Best Bets of 2012.” Do you feel any pressure to live up to that billing? Well of course it was nice that a magazine of that stature would include us among that list, and I feel like we’re up to the task. If we come off stage and anyone in the room, theater, club or fairground hasn’t been moved by what we do, we didn’t do our job, so we work toward that goal every single show. You incorporate a lot of different elements into your sound. How would you describe the band to someone new to your music? I’ve heard so many different things over the years- ‘Y’allternative,’ ‘Twang,’ ‘Americana,’ ‘Roots Rock,’ – We’re hard to pin down because we draw from a lot of places from rock to country, bluegrass to soul, dixie reggae- we try to make authentic American music. Music that brings people together. Of course for everyone in the band it’s different. Some of my biggest personal influences are early Tumbleweed Connection/Madman Across the Water/Goodbye Yellow Brick Road era Elton John, most anything by the Band, Creedence Clearwater Revival. There are so many that we could spend months talking about it. What goals do you have as a band for the coming years? We’re just gonna keep on doing what we’ve been doing, laying our hearts out there every night and put on the best show we can for every person that comes. The crowds keep growing and we’ll look to continue that trend as long as we can. They word’s getting out about this band and we want to bring it to everyone- fans of all musical styles anywhere in the world. We’re looking forward to the ride.